How Functional Is The Current YouTube Video Editor? 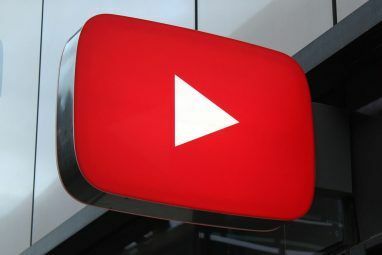 A while back, Matt wrote an article about the 2010 YouTube Video Editor How To Use The New YouTube Video Editor How To Use The New YouTube Video Editor Read More , and although it doesn’t seem that long ago, a lot has changed. Back then, it had a few basic features, but in all honesty, it just wasn’t really that functional. However, two years later, it’s high time to revisit the video web app How to Run Android Apps on macOS How to Run Android Apps on macOS If you want to run Android apps on your Mac laptop or desktop computer, this is how you do it. Read More . Everyone deserves a second chance, right? First off, I’ll say this – the YouTube video editor is functional….to an extent. 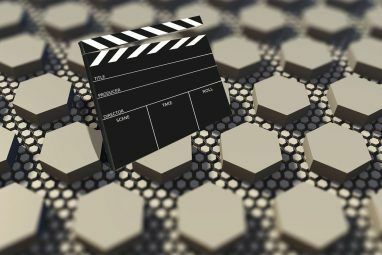 As with anything, there are different aspects when it comes to hitting a target audience, so let’s just say you won’t be cutting the next Academy Award winner (or maybe you’re one of those avant-garde artists who will use nothing but an iPhone and the YouTube Video Editor to create the most revolutionary work ever made). However, the app is definitely worth checking out regardless of whether you plan on using it regularly or not. Back when we first took a look at the YouTube Video Editor, we saw that it included some standard functions: cropping video, video How To Output Video From A PC Or A Laptop To A TV How To Output Video From A PC Or A Laptop To A TV The computer is one of the most versatile video players ever invented. It can play discs, various files or stream video from the web. There’s little that isn’t available on a PC, and if something... Read More splicing (a must), and Audioswap. However, the new video editor does a little bit more, but before I begin, I just want to just mention that splicing is about the only thing that is the same. Realistically, you can’t change that much. With the editor, you can put any clips you have uploaded into one big video. This is ideal for family vacation videos taken with iPhones. If you are already uploading goofy little clips of your family online, why not put them in one home movie? Seems reasonable to me. Additionally, there is a Creative Commons video library so that you can insert stock footage into your own videos. I’m not entirely sure what you would use this for, but I’m sure you could make some nifty stuff with it. Other stuff that you can use (that would be found on any standard movie editor Easily Edit Multiple Photos At Once With BatchPhoto for Windows and Mac [Giveaway] Easily Edit Multiple Photos At Once With BatchPhoto for Windows and Mac [Giveaway] Have you ever taken a lot of photos and needed to edit them all at once? Whether they need to be resized, rotated, or combined into a photo album, editing the photos one-by-one can be... Read More ) include actual titles and some (corny) transitions. Furthermore, the Audioswap song selection is still around, but it looks a lot more user-friendly. What was lacking with the earlier version of the YouTube Video Editor were Enhancements. Although not actually part of the editor, the Enhancement section of YouTube provides several ways to alter the look of your video How To Make Use Of The Canon Camera CineStyle Setting How To Make Use Of The Canon Camera CineStyle Setting Have you ever wanted to have those fancy picture styles from westerns and action movies for your own videos, made with a Canon DSLR? Have you actually tried to pull it off time and time... Read More or adjust the audio. Although they aren’t the most professional tools, they are still pretty great for what they are. The Enhancement section can be found in the video manager section of your channel through any of your videos, and its content is divided into three categories: quick fix, effects, and audio. The quick fix includes basic adjustments for issues such as contrast and even saturation. As for the effects, there are many different methods of color grading Start Editing Film With These 5 Video Color Grading Tutorials Start Editing Film With These 5 Video Color Grading Tutorials Even during the days of black and white film, auteurs would do their best to hand-color each frame with beautiful tints that transformed their movies into rainbow-filled reels. However, as time went on, color itself... Read More available. Also, the audio is pretty much the same as the one you would find in the editor. All in all, the one thing that really stands out with me concerning these Enhancements is the implementations of a video stabilizer. As you may know, a lot of the video content on YouTube is shot on tiny, handheld, shaky smartphones Evolution of Android: From 1.0 to Jelly Bean [Geek History Lessons] Evolution of Android: From 1.0 to Jelly Bean [Geek History Lessons] Read More . With the stabilizer, there is actually a chance of getting some smooth video. Just pop your shaky video into the stabilizer, and YouTube should do the rest. Is it useful? Well, for an online-only web app that is target at families, then yes. However, if you are serious about video-making, I would recommend finding something just a little better. What other web-based video editors do you know of? 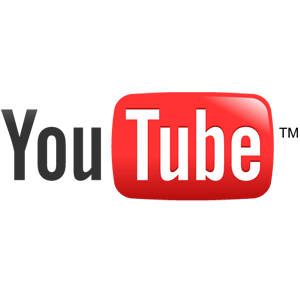 Have you ever made use of the YouTube video editor? Explore more about: Video Editor, YouTube. 4 Reasons to Switch to Managed WordPress Hosting for Your SiteOnline Privacy: Do You Share Too Much Information? 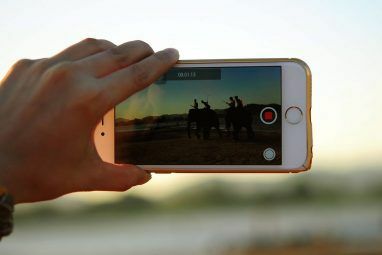 It is mainly useful because it doesn't use your computer for doing operations and the great video stabilizer, but only if you manage to upload it in good resolution . didn't know they had a video editor till now. Yeah, but i hope it works good. Although the YouTube editor is limited, it would probably be a great secondary editor to use with a second editor... maybe another editor that does not have the stabilizer, for example. I'd like to see the stabilizer implemented in standalone apps, actually. Wow! I don't know about the stabilizer.